As a self-professed foodie, I was super excited to take a trip to Orange County to visit my sister earlier this year. She’d been telling me about all the amazing restaurants and vineyards for ages, so when I finally got the chance to pay a visit, we planned out a week’s worth of dining so that I could pack in as much local flavor as I could. Orange County offers restaurants unlike any I’ve ever seen, and most of the menus we sampled were full of variety, which is what I’m generally looking for when I try a new place. Not only was the seafood incredible, there was a wonderful selection of fusion foods that appealed to my sense of adventure. One of the best things about Orange County is the fact that it’s so accessible from many different places; it’s just a quick drive from San Diego, making it the perfect area to visit for a day trip or a weekend getaway. Here are some of the best places to eat (and drink!) when you’re in town. This large eatery is nice and open, with several dining rooms, a lounge, and even a library, which really appealed to the writer in me. The dinner menu is a bit on the pricier side of things, but it’s worth it for the Chilean sea bass and a gourmet burger made with tomato jam and smoked goat cheddar fondue. The lunch menu is a little more reasonable price-wise and offers lots of fresh salad options as well as a grilled cheese made on amazing rosemary olive oil bread. Yep, you read that right. It might take you a few tries to pull up this place online, but it’s worth the effort. Located in Newport Beach, A Restaurant offers a large variety of wines and beers, along with a charcuterie menu that is a meal all on its own. One of the best places around for fresh seafood, this joint offers up octopus, calamari steak, and oysters as well as more traditional fare like filet mignon and fish and chips. 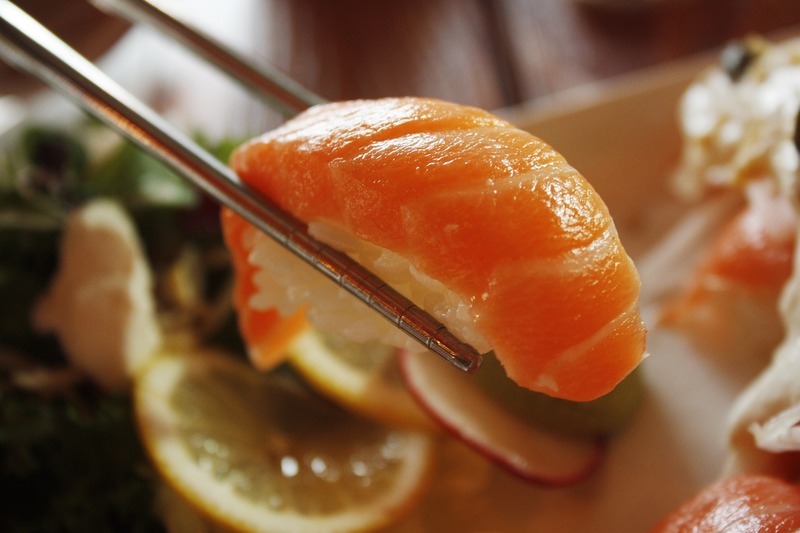 If you like sushi, there are few better places in Orange County than Sushi Noguchi. The restaurant itself is exceptionally clean and sparsely furnished, so you can dine in an open space surrounded by white. The seafood is extremely fresh–the chef reportedly gets it all from Japan by way of an L.A. fish market several times a week–and the prices are very reasonable. Looking for a place to quench your thirst? Look no further than Barley Forge, which offers craft brews and a large tasting room. They also have a kitchen that uses locally-produced meat and cheese to provide food for soaking up some of that alcohol. If comfort food is what you seek, check out Three Seventy Common, which takes your childhood favorites and makes them perfect grown-up fare. Think short-rib grilled cheese and an alcoholic root beer float. No matter what you’re looking for when it comes to food and drink, Orange County has you covered. Just be sure to plan ahead and make reservations, and always check out the restaurant’s website to make sure of their hours and seasonal menu, which are subject to change. Some establishments are more kid-friendly than others, and some require a dress code; not all of them allow the standard laid-back Cali uniform of flip flops and tank tops.